The one in which we talk about posters. Again. Reminder: here’s the link to ask your questions! We’ll be answering some questions we’ve already received in January. Also, this is our last post for the year–we’ll be back in January! In this week’s post, we wanted to provide some links about the recent outbreak of posters that appeared on various college campuses last week (as well as in some communities and at some high schools), proclaiming that “It’s okay to be white.” These posters seem to have originated from a 4Chan group (we refuse to provide a link for 4Chan! ), explaining their appearance at multiple sites across the country. First, some articles about what happened: Washington Post provides an overview; InsideHigherEd connects these posters to previous antisemitic and racist posters. The school took the posters down; Craft said postings have to be approved in advance. But he’s not stopping there, he said. That likely is the last thing the person who put up the poster wanted to happen. 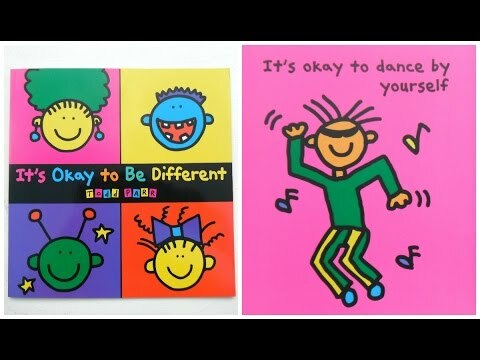 Finally, a big shoutout to Adriana’s awesome son, Nico, who said that if these posters appeared at his high school, he’d want to create posters in the same font with phrases such as “It’s okay to be Black,” “It’s okay to be trans,” “It’s okay to be Muslim,” “It’s okay to be short”…which we love because it responds in a creative way that doesn’t just shut down speech and because it reminds us of a fun children’s book.